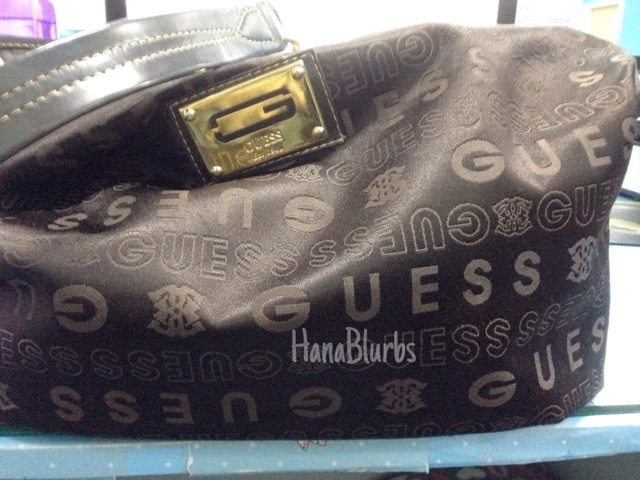 Hana Blurbs: What is in my Work Bag? I admit, I'm currently having creative blocks! Haha. Been looking for a lot of ideas to kick back into blogging again, so pardon me when I start having meek topics for the time being. Even my "She's Like A Star" project had to be put on hold for awhile as I do not have time to do a lot of makeup lately. Domo Pouch: I keep my pendrives in thereeee. Before I own a hard disk of course. Aviator: When I'm travelling in someone else's car I had to bring on for my sensitive eye haha! Contact Lens Solution: You never know when will dusts attack your eyes out there. Plug head: Plug in yo cable and breathe life into ma electronics! Minnie Facial Absorbent Paper: When your makeup is on point but getting oily. Lol. Hard Disk: My anime series. My Music. Teehee. Pardon the background and how tilted it got at the right side. My hand got shaky during panorama shooting. Lol. If you realise I don't bring any makeup other than lip products here. That's because, unless I'm having "aunty visits" monthly, most of the time I won't have makeup on. Letting my skin breathe because of my pimples and such. Haha. Plus it's easier for me to take wudhu'/ablution for prayers.